This year Australia found itself in the middle of design market frenzy with new craft and design marketplaces popping up all over the country or established markets setting up their events in new cities. 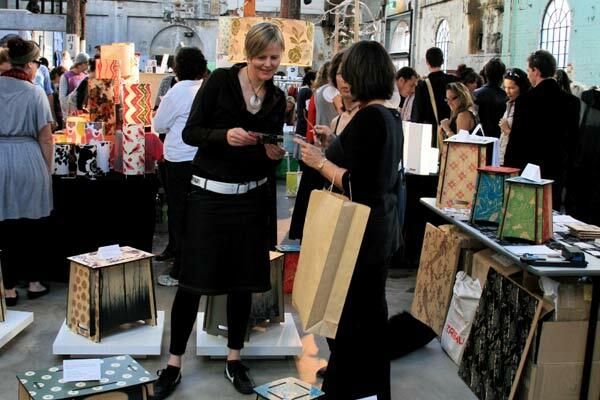 Leading up to Christmas this year there are close to thirty craft and design markets being held across Australia. But design markets are not necessarily the right step for all designers. Here we speak with market organisers and designers across Australia to assess the pros and cons of market retailing. When Melbourne-based designer Andrew Ashton of Pip and Co. first proposed holding a market focused on Australian design in 2003, the response he received was lukewarm. 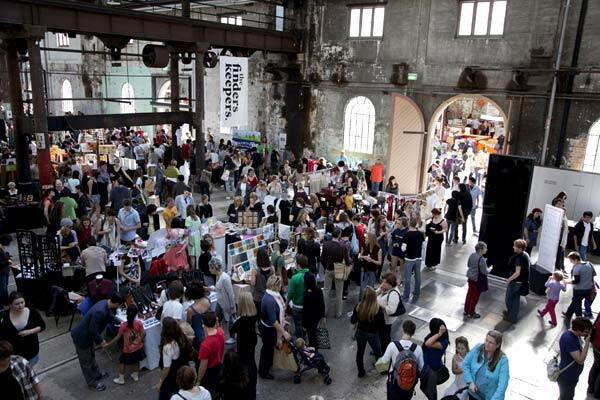 A few months later Andrew took the concept to the inaugural State of Design festival in Victoria, and now six years on, the Melbourne Design Market is one of that state’s biggest and most popular annual design events drawing a crowd of over 15,000 in one day. 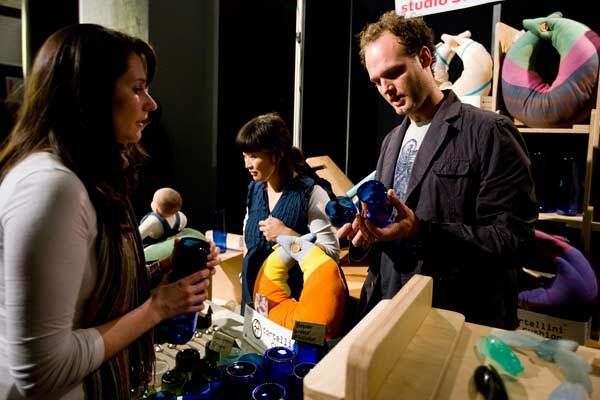 The continued success of the Melbourne Design Market and other boutique design events, including Magnolia Square, the Young Blood Designers Market and The Finders Keepers in Sydney, have strongly contributed to the shift in the perception of design and craft in Australia. For the general consumer emerging and established designers and makers have developed a unified presence and a growing competitive edge alongside their international peers. There are many reasons markets have become an attractive arena for design businesses in Australia and around the world. Young designers establishing their careers often use markets to launch their brand, build a profile and provide a stepping-stone into wholesaling. For more established design businesses, markets often form a core part of their marketing strategy – while helping to maintain and promote their brands and products, they also allow designers to directly widen their network in a different city, maybe in another country. 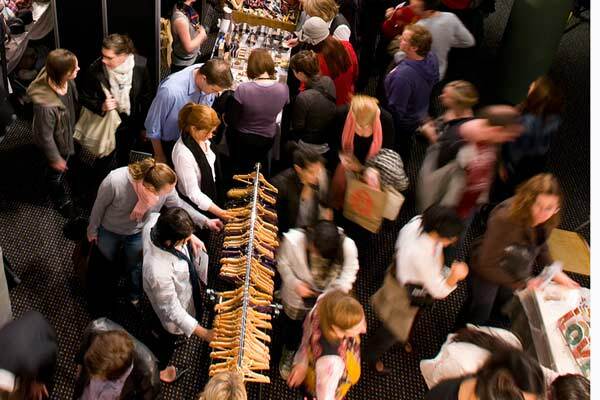 However apart from the obvious advantages of brand presence and reach, it is the financial benefit that has become the number one motivation for most Australian designers showing and selling their work at markets. 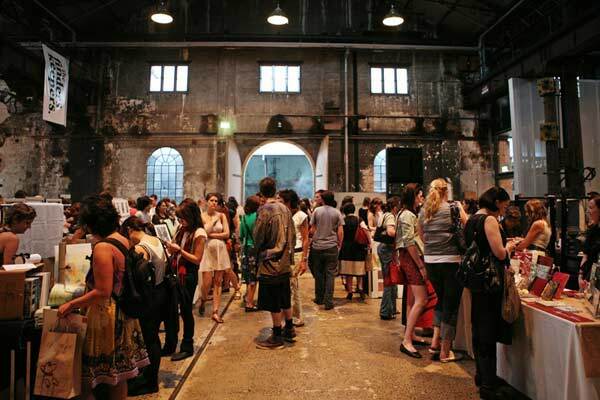 Sarah Thornton who launched The Finders Keepers market with Brooke Johnston in Sydney in 2007, says that in her experience design markets that are curated, held less frequently and promoted as special events, create an environment where designers can sell their products with a much higher price tag. This approach works well particularly well for collections that are handmade or limited in production and therefore not as viable for the traditional wholesale approach. Kim says he also sees markets as an opportunity to test run new products and gain insights into pricing, sizing, and colour, and a great way to get direct feedback from your audience. Research is an important part of markets and designers should take advantage of the opportunity they present to interact with customers and conduct research and development. 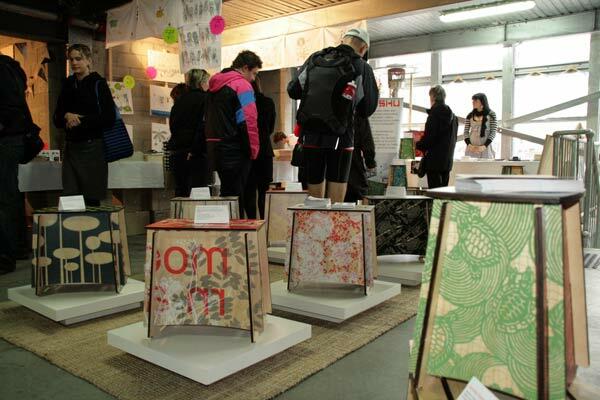 While the financial benefits and the research advantages stand out, on the other side there is also the community spirit of the design market. They provide a good opportunity to get to know other designers, share experiences and knowledge and get involved in the frenetic marketplace atmosphere. With the blossoming of the Australian design market culture choosing which event to take part in and when can be difficult. But making the right decision is also essential as costs can be prohibitive particularly when interstate or international travel is involved. Word of mouth appears to be the primary means by which most design businesses gather information about markets. ‘We stick to the ones we know work and monitor some events for their first year and then won’t participate until we speak to one of the stallholders about their experience,’ says Butler. Barwick also says designers should be choosy about what market they participate in. She recommends analysing an event’s website to get a sense of the focus of the event and the atmosphere organisers are trying to create. By looking at past participants you can also decide whether they appear to have a similar audience to that of your own brand or products. However, it is important to recognise that while some events may feature some of the same stallholders, as is the case with Magnolia Square and The Finders Keepers, that doesn’t mean their markets have the same demographic. The location of the market and the way the event is publicised can have a huge impact on the type of audience attending. The markets that tend to get the best wrap are those that are curated and select designers through a competitive process of application. If organisers feel your product will not sell at their market then you are unlikely to be approved. But there are other reasons why organisers might say no to your application. Both Nic MacIsaac and Sarah Thornton say that they are put off by applications that are badly presented. ‘Design is all about visuals. It is so important and we are really turned off by people that send us uncropped or blurry digital photos or put no effort into their applications,’ says Thornton. Thornton says that they assess applications as a retailer might, judging applicants on the basis of their whole offering including the designers ambitions, price, material, packaging, product uniqueness and over all quality. If you reapply to an event that you have participated in before, don’t take it too personally if you are not accepted again as many market organisers have a policy of trying to mix up their stallholders to keep events fresh for customers. If you want to be a repeat stallholder at a design market, reapply with a new product or range because consumers and organisers don’t want to see the same products time and time again. You have been selected, now what? You have been accepted into your first design market so how do you make your experience a success? While most market stallholders measure their success of the experience in financial terms, if you don’t sell as much product as hoped you shouldn’t see participation as a failed exercise. There are many factors that can affect sales and instead of packing up your product and never venturing into market territory again you should speak to organisers and other stallholders to gain a sense of what went wrong. Factors such as the competition, your pricing, inappropriate clientele, the positioning and merchandising of your stall, even the weather can dramatically impact your experience. It can be worth trying the same market again as sometimes it takes consumers a couple of times to see a product before they will commit to buy. However, if you have weighed everything up and you need to try something new, don’t hesitate. Images courtesy of The Finders Keepers, Zaishu and Powerhouse Museum. Some Rights Reserved. View ADU Creative Commons license here. For more information and a list of markets happening between September and December 2009 download ADU market summary and checklist.